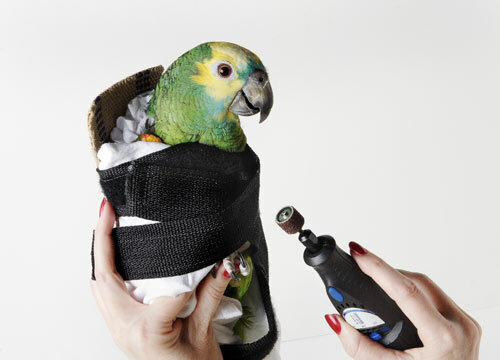 The Avian Restraint Jacket is designed to restrain birds during routine health examinations and maintenance/grooming procedures. It acts like a second pair of hands, is extremely easy to use, and is atraumatic for the bird and the handler. It is used extensively in hospitals for avian procedures, such as beak and nail trimming, wing clipping and leg band removal.